Un ringraziamento a Razorbacktrack che mi ha segnalato la succosa news. Tommino81, PlayerONE, Chojin and 3 others like this. Razorbacktrack and Debugbrain like this. Quindi è possibile finalmente avviare backup? 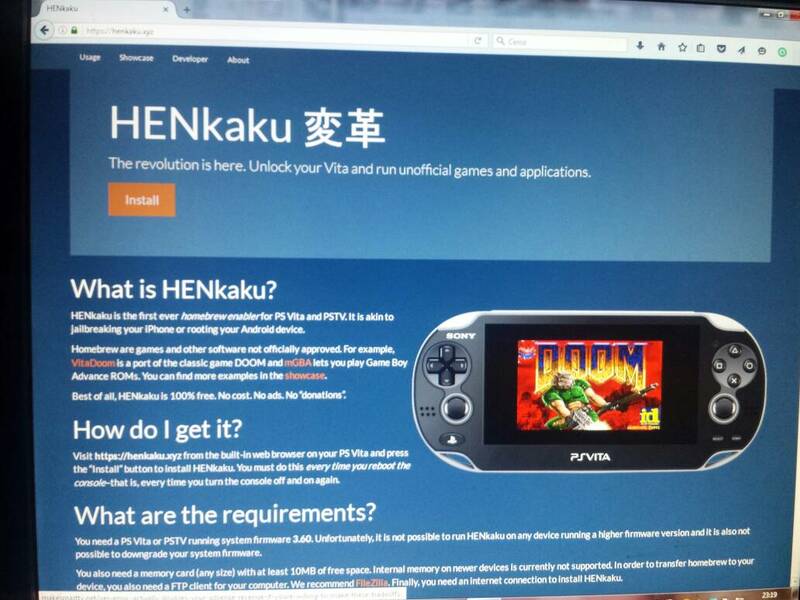 Son stati rilasciati 3 giochi per Henkaku, non si sa se siano stati decriptati o siano state delle dev leak. Razorbacktrack and feddy75 like this. Now, the fun stuff. Today, we are pushing the next major update to HENkaku. The following features will be available the next time you run the online HENkaku installer. Self-hosters should get the changes from Github. PSN spoofing: You can access PSN without updating to 3.61! Please continue reading for some important notes. Version string: A callback to the PSP days where every hack would change the system version string. We do that too now (see the screenshot) so we can provide better support to our users. Update blocking: In HENkaku mode, firmware updates using the official servers are blocked. That way you won’t accidentally install 3.61 and it won’t download in the background regardless of your settings. Updated exploit to Release 3.